A Field Day cookout on Delaware State University’s campus ended in chaos on Saturday after gunshots rang out, sending three people to the hospital. Just hours after the initial 8 p.m. shooting, more gunshots were reported in the nearby University Courtyard apartments in Dover around 1 a.m. Nobody was reported injured in the second incident. The three victims at Field Day were transported to Kent General Hospital and were reported in stable condition with non-life-threatening injuries. The annual school-sanctioned Greek life event attracted around 1,000 people from the school and neighboring communities, but shooting started after a fight broke out during the cookout. Carlos Holmes, DSU’s spokesman, said none of those injured were students at the university and that the investigation into the shootings is being led by the Delaware State University Police Department in conjunction with other departments. Holmes said a shooter has not yet been identified, and names of the injured were not released. Students were advised to return to their residences after the Field Day incident, Holmes said, and complied without any further problems. Non-student visitors were told to leave campus, he said. DSU President Harry L. Williams issued a statement commending students for their cooperation and pledging confidence in the police’s ability to handle the matter. Williams’ statement also said the university would resume normal operation on Monday, April 20. At the time of this news brief, no arrests had been announced in connection with the two incidents. 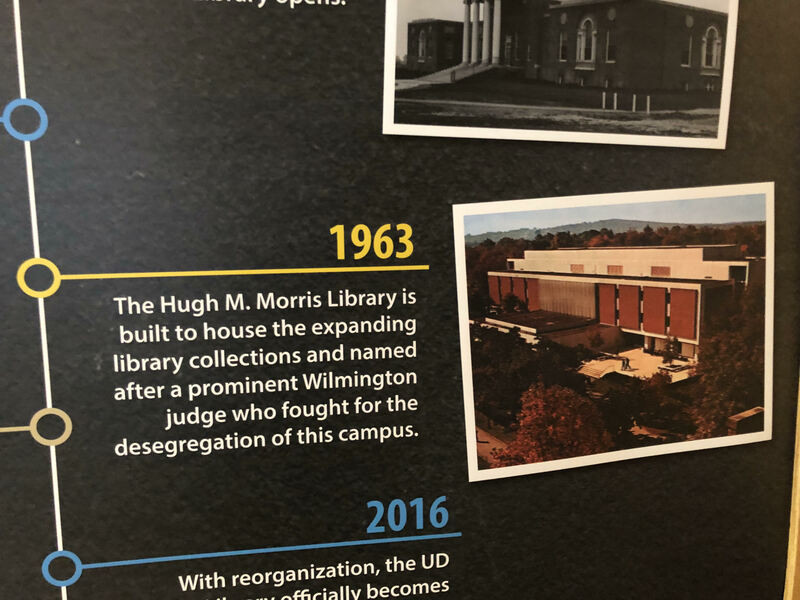 A historically inaccurate claim can be found at the entrance to Morris Library.